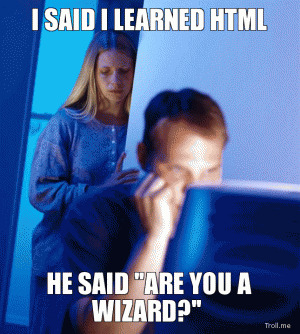 He said "are you a wizard?" 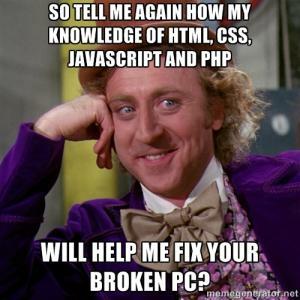 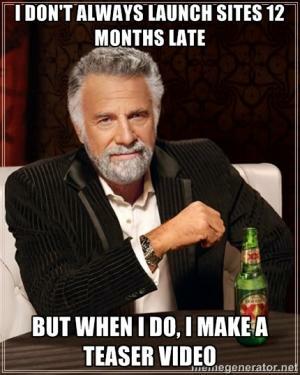 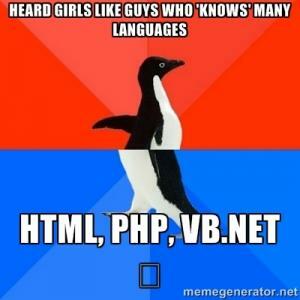 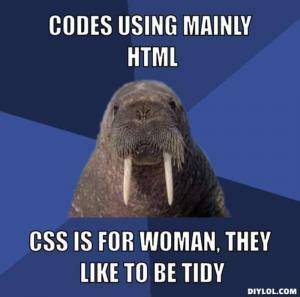 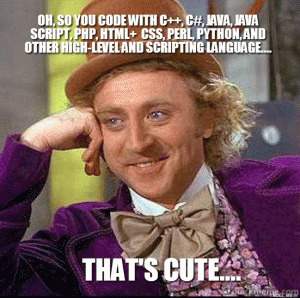 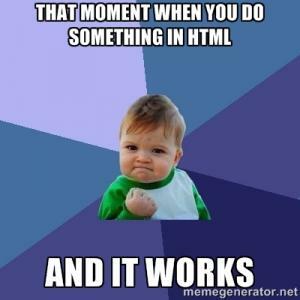 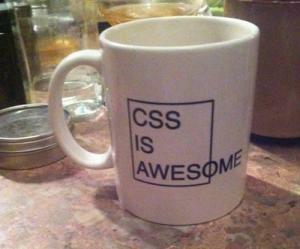 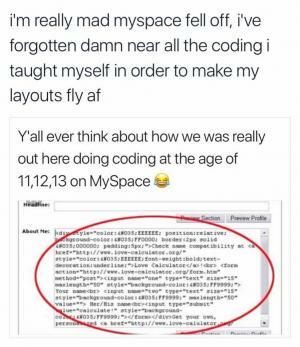 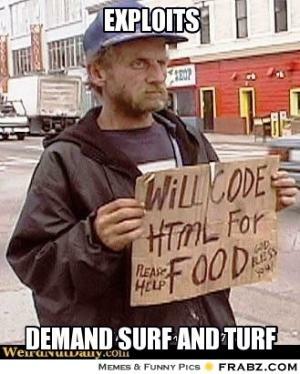 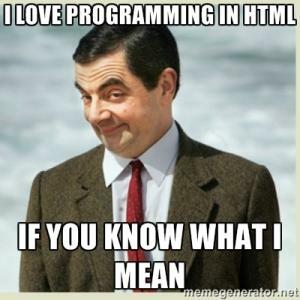 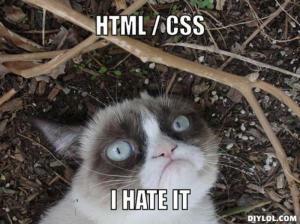 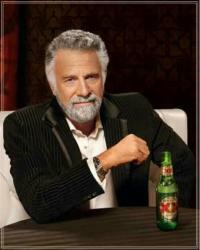 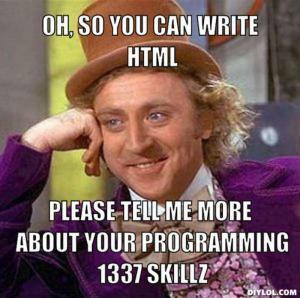 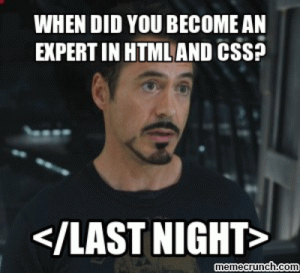 Tell your friends that you know html and java. 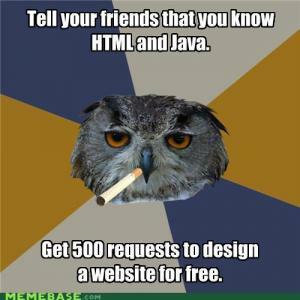 Get 500 requests to design a website for free.